Pinoy Trend features interesting articles about trending travel and leisure, upcoming events, best resorts and travel tips and insights to make the most of your trips without charging you any peso for reading it. So if you love backpacking and exploring the distinct beauty of the Philippines, let Pinoy Trend guide you. Who wouldn't love travel and leisures? The people you see; the scenic and relaxing view of the place; delicious gourmet; and the experiences you'll have makes travel one of the most loved activities. You don't need to be a certified backpacker to be able to travel. All you need is a guide. Live Your Life Out of the Box. There are many places in the Philippines where you can spend your vacation the way you wanted it to be. From North to South, East to West, there are exciting destinations to go and great experiences await you. So get ready and immerse yourself in the vivid colors of excepional places in our country. Escape and enjoy Philippines on-the-grid destinations. Pinoy Trend will give you tips and ideas where and when to spend your vacation and other special days of the year. There are a lot of hotels and resorts that will make life so sybaritic. Start thinking of your own iteneraries for your next vacation. If you are worried that your adventure will cost you so much of your savings then it's time to consider our budget-friendly features about the latest and best destinations whole-year round. Pinoy Trend aims to promote our local tourism by sharing some personal experiences while exploring epic places in our country. The Philippines is culturally rich and has much to offer to its tourists both local and international. 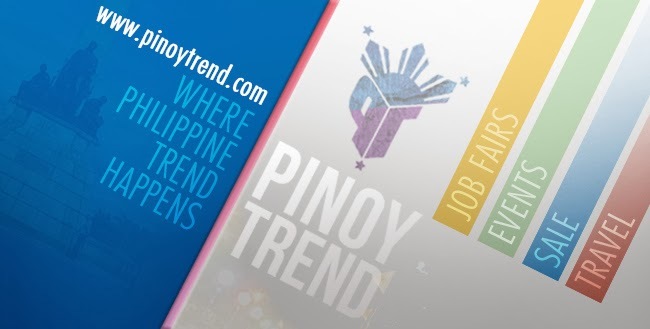 Let Pinoy Trend prove to you that It's More Fun in the Philippines.